I have to admit that up until a few months ago, I never ate the stuff; no particular reason why. 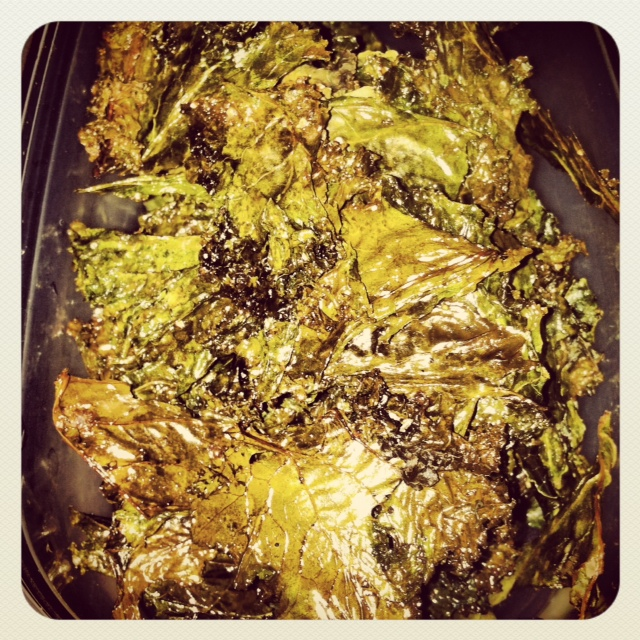 But I’ve come to really enjoy kale, not only for its nutritional value, but also because I love how versatile it is. I used an easy recipe I found awhile ago from Women’s Health. I don’t know why I haven’t made these before. Yes, it’s that easy. I didn’t have a pastry brush handy, so I just drizzled on the EVOO before sprinkling with salt & pepper. I overcooked the chips a little (no judging! ), but they still tasted really good. in container / ready to eat! I baked mine for about 32 minutes; make sure you keep an eye on them though – that was clearly too long. I’ll have to try the nutritional yeast (I actually have some leftover from when I made vegan mac & cheese)! nom nom nom! 🙂 tis the season to eat kale! I was awed when i saw this post here, cos just 2 days back I made this. It’s the same with me…..Even I did it for the 1st time, It was a bit over cooked and hmph…..tad more of salt. So I ended up eating it with plain rice to subside the salti-ness. 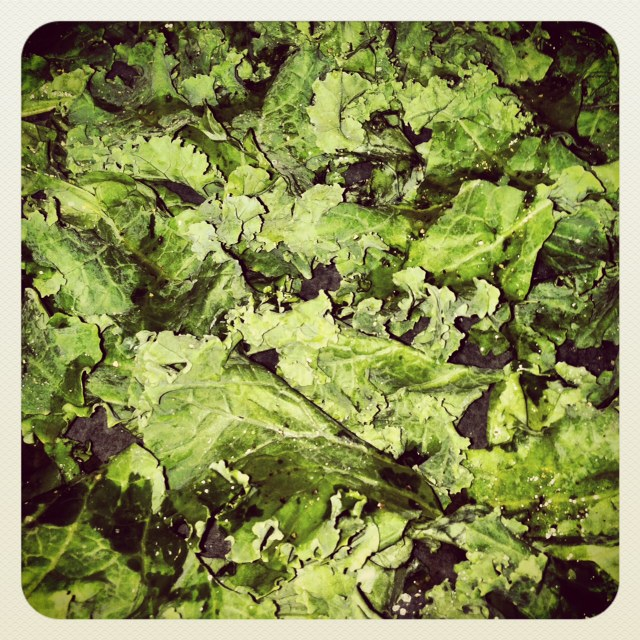 Kale = awesome. 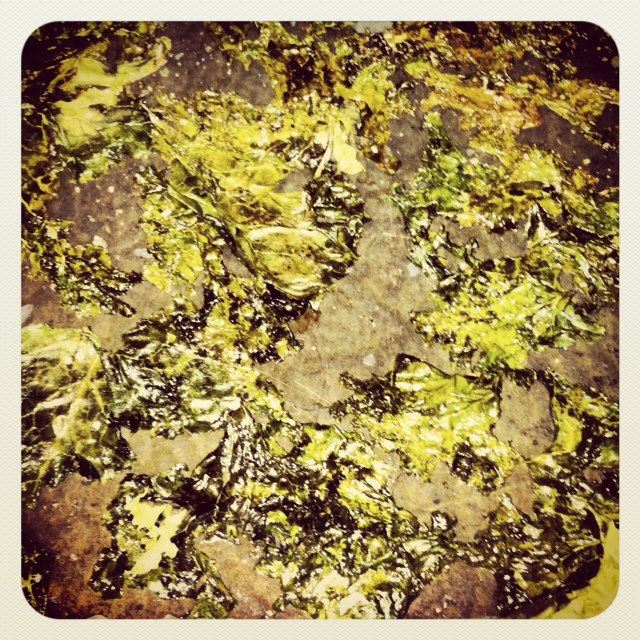 Kale chips = more awesome!